I found out about Meghan Telpner and her inspiring and extremely practical website three years ago from one of my classmates at the Canadian School of Natural Nutrition. Meghan Telpner is a Holistic Nutritionist who resides in Toronto, Ontario with her husband Josh Gitalis, a Clinical Nutritionist. Meghan founded The Academy of Culinary Nutrition which is an online culinary school where students from across the world learn about, obviously, culinary nutrition, wellbeing, and leading a vibrant life. Health professionals learn how to grow their businesses to reach and help more people. 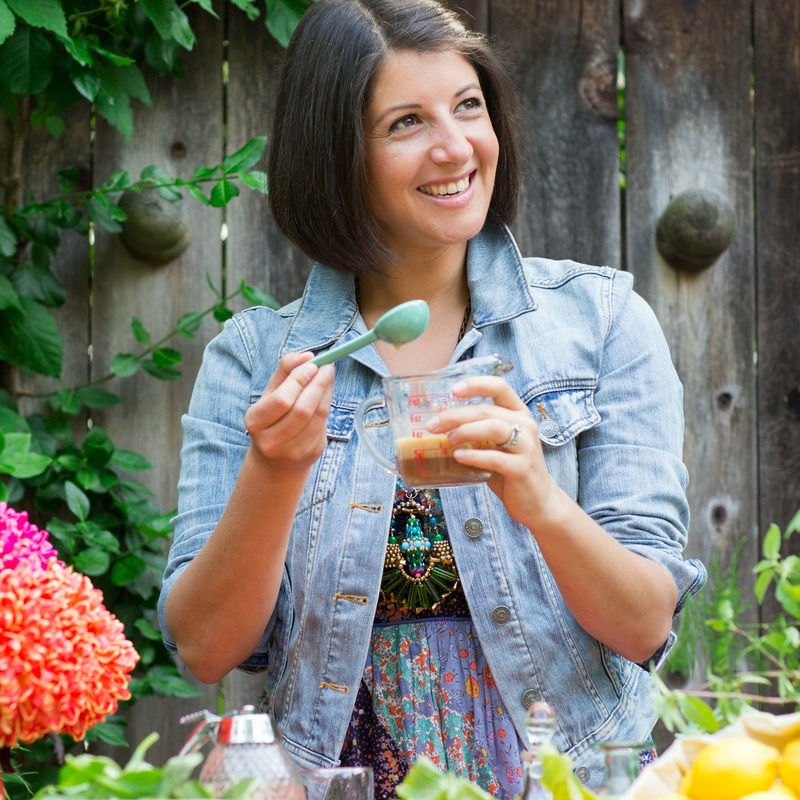 Everything Meghan does is inspiring and surrounded by positivity, be it delicious recipes, blog posts and books, videos, or online workshops. She truly is one of the people who talk their talk and walk their talk. A few years ago Meghan wrote a lovely book called “UnDiet: Eat Your Way to Vibrant Health” that encourages people to eat healthy, lead a healthy life, and not worry about weighing their food or counting calories. Last year, Meghan published “The UnDiet Cookbook” to accompany her first book. Like her first book, her second book is also a journey in a magic land. It welcomes you from the front cover with vibrant colors and Meghan’s beautiful smile. While you flip through its pages, you are taken on a journey of flavors, smells, and eye-inciting and mouth-watering photos. I made many of her recipes, including Chickpea Focaccia, Cinnamon-Spiced Brownies, and Sweet Potato Zucchini Hash Brizzles just to name a few. My kids (who are soon turning 4 and 7 years old), my husband, my parents, and myself loved them all. All recipes are gluten-free and dairy-free. Variations to make them egg-free, nut-free, or grain-free are also included. Although the cookbook is not geared towards children, I consider most of Meghan’s recipes to be very kid-friendly. And I am not talking only about the amazing pancakes, truffles, pies, muffins, cookies, crackers, and porridge recipes that Meghan shares in “The Undiet Cookbook”. I am also talking about Taco Salad, Pumpkin Soup, Kale Chips, UnShepherd’s’ Pie (yes, this is what it’s called! ), and many others. All yummy and nutritious! 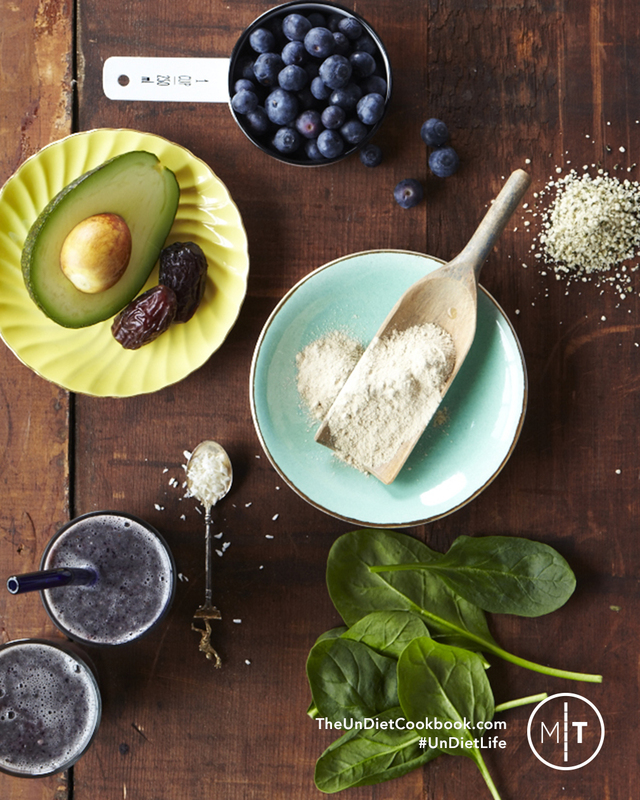 The cookbook does not only have delicious recipes, but it also has a chapter dedicated to Beauty Care, with recipes to keep hair, skin, and teeth healthy. I tried the toothpaste recipe and the teeth whitener (which, by the way, has only 2 ingredients) and I loved them both. If you would like to hear Meghan talk about her journey, I am certain you will love her interview on Sean Croxton’s podcast. I really hope you will get a chance to listen to it as you will get to know Meghan as she really is: smart, vibrant, positive, enthusiastic, and inspiring. I reached out to Meghan to ask if she would like to be featured here and she graciously agreed to an interview with her and a giveaway of her second book, “The UnDiet Cookbook”. 1.Meghan, tell us a bit about yourself. Who were you at the beginning when you started your journey towards health and who are now in your health and nutrition journey, as a nutritionist, author, speaker, and founder of the Academy of Culinary Nutrition? Don’t all kids dream of growing up to make their own almond milk and growing alfalfa sprouts in their window? My first love was actually fashion. I have an undergraduate degree in fashion and following graduation from university, I packed up and went to travel Africa. This experience contributed to a health crisis. Three years later, by the summer of 2006 while I was working in advertising, I was diagnosed with Crohn’s disease, an incurable autoimmune inflammatory bowel disease. The conventional treatment is usually a combination of medications and surgery. Having done my own research, I was inspired to try something different. I started to explore my kitchen and taught myself how to cook with real food, I read tons of books on nutrition, took up a regular yoga and meditation practice and went for acupuncture. And I healed. Within a month all of my symptoms were gone and to this day, have not returned. It was this experience that inspired me to go back to school to study nutrition- and pursue the work I now get to do- inspiring my readers, and students to live the most healthy and awesome life possible. At the beginning, I was as confused about health and nutrition (as most people are) and through a commitment to empower myself with knowledge, I have landed here doing a job that I didn’t even know was my dream job! 2. What were your goals when you decided to write “The UnDiet Cookbook” and why did you choose this name for the cookbook? Knowing how to feed ourselves, you’d think, would be one of the first things we‘re taught. For many of us, it’s the last, and we only learn when we need to. After graduating from nutrition school, I realized that there was a huge gap in the nutrition training- understanding how to use food, on a daily basis, in a practical way, to really fuel our lives. I wanted to offer cooking classes that weren’t focused on one ‘label’ of diet but really encourage my students to tune in to what their body needs and design a lifestyle that is sustainable, healthful and delicious for themselves. This is, in essence, what the UnDiet philosophy is. In short- UnDiet is breaking free of all the diets and rules we think we’re supposed to follow to be healthy, but that never really work. When it came to writing my cookbook- I wanted to incorporate the ease, deliciousness and simplicity that I used to teach in my classes and now share with my students in the Academy of Culinary Nutrition to equip everyone with the knowledge they need to live a healthy and awesome life. My first book was called UnDiet and it is the lifestyle guide, the toolbox for lifestyle transformations. It was only natural that my follow up would be the cookbook to support it. 3. 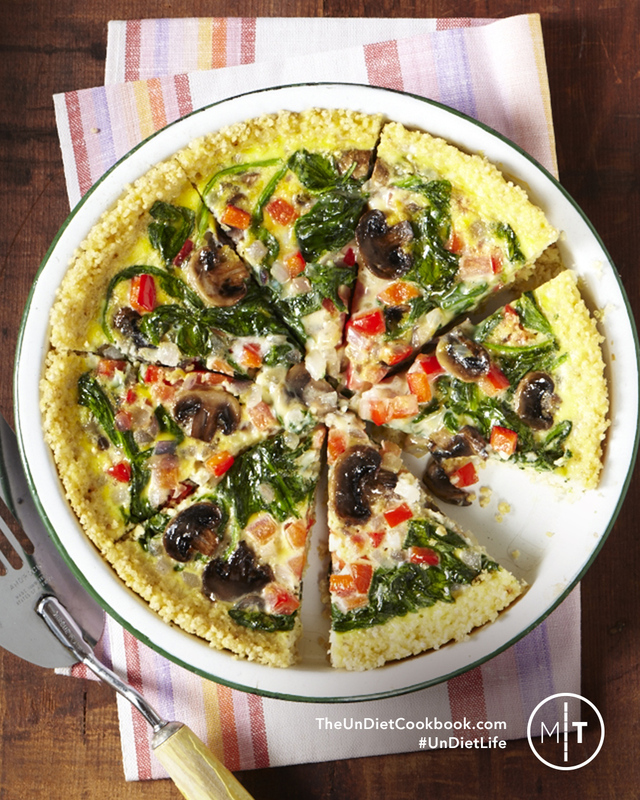 Please share three of your favorite recipes from “The UnDiet Cookbook” with us. 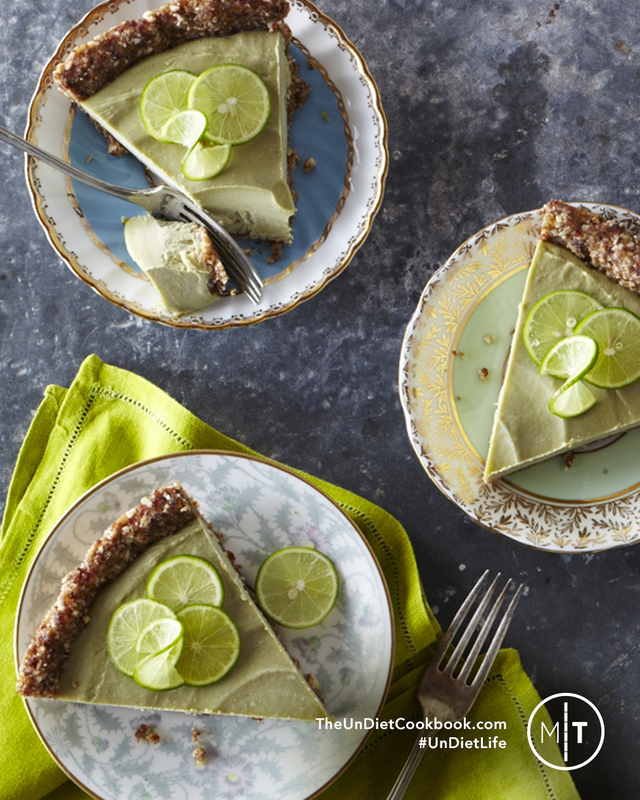 Rawmazing Keylime Pie: It’s simple to make, delicious, and can be modified to work with any fruit. Dressed To The Nines Sweet Potatoes: A filling and satisfying simple dinner. UnCoffee: A warm elixir drink that I have virtually every morning. It’s made with raw cacao and some other yummy herbs to power me up for fun and busy days. 4. What are the three ingredients you always have in your fridge and/or pantry? Lemons: I put lemon juice in salad dressings and squeeze it over so much. I use it a lot in my dips and sauces too. Plus it’s part of my morning routine of warm water with lemon juice and cayenne. Garlic: Garlic is nature’s antibiotic. I use this in a lot of my recipes including stir fries, dressings, soups and roasted vegetables. Roasted garlic all on its own is one of my favourite things. It’s also nature’s antibiotic. Feel a cold coming on? Chop up a clove of garlic and take with some honey on an empty stomach. Nothing can survive that! Ghee and Coconut Oil: I often use these interchangeably but I love my good fats. They stabilize blood sugar and support a healthy nervous system. Fats make our skin look better and our mood stable. 5. Sometimes life gets in the way and we eat less healthy than we would like to for a while. What do you do to get back on track? This is a common challenge. I definitely get busy but I always aim to put things in place to support my health when life gets very busy. When we’re at our busiest is really the time to be fuelling our lives with the best. I do prep days so that I have good food easy and ready to go out of my freezer if need be. I use a local CSA to deliver produce if I don’t have time to get to a store. There are certain things in my life that are just non-negotiable and eating well is one of them. When we understand the impact our food choices have on our lives, and feel the difference, it becomes pretty effortless to stay on track because the convenience fast foods are no longer options. 6. What makes you happy that not many people know about? I’m pretty vocal about the things I love. Farmer’s markets, yoga, my bicycle, time in the forest, stand-up paddle boarding, travelling with my husband, cooking, quiet time at home, getting a massage, a really awesome book, nutrition documentaries, essential oils, and great food all make me happy. I guess something few people know about me is that I love to create things. I love painting and sewing and doing crafts. A lot of what I do now is online so there is very little that I create that can be held (aside from cookbooks and food), but I like creating things simply for the process of creating them without needing an outcome. 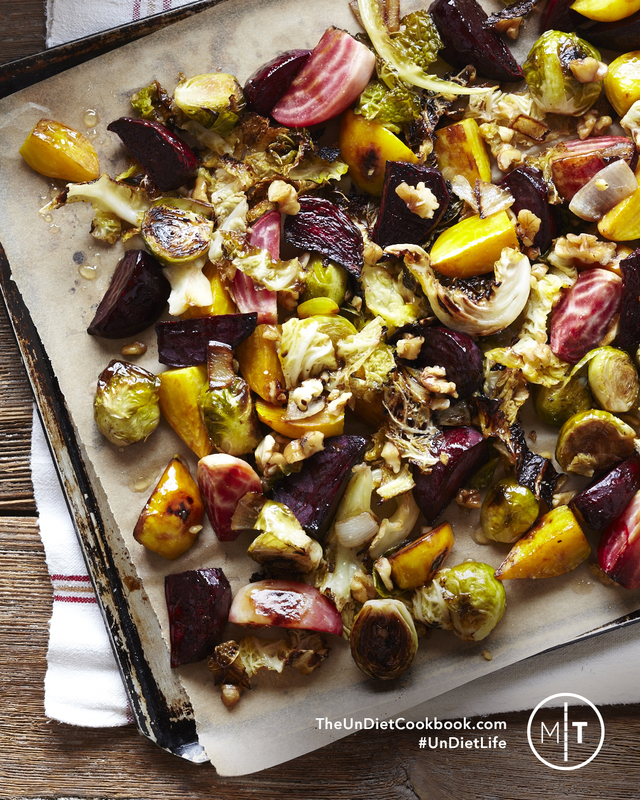 Meghan is sharing a recipe with us today from The UnDiet Cookbook. I think you will love it! Heat your skillet to medium heat and dollop on some coconut oil or ghee. Scoop 1/4 cup of batter at a time into the hot skillet. Once you see bubbles start to form, it’s time to flip these babies over. 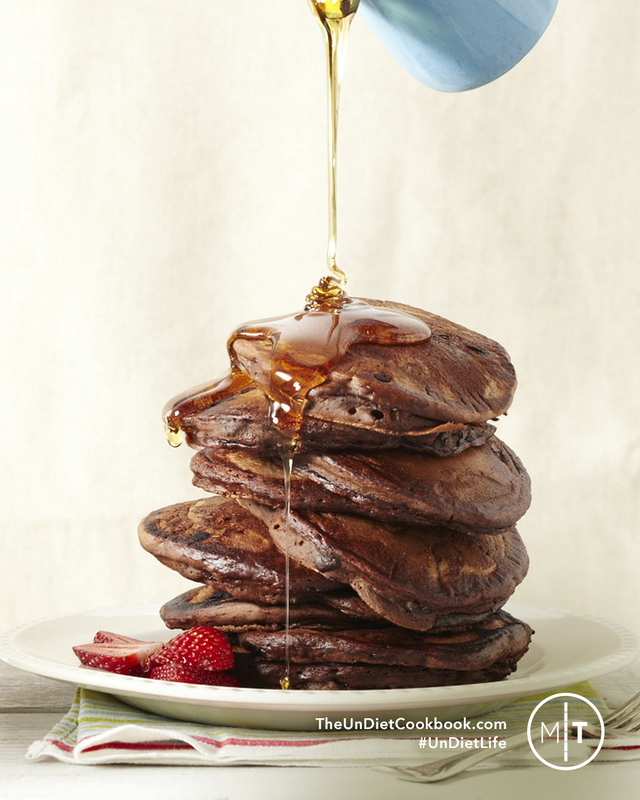 The trick with pancakes is to keep the heat high enough to cook them through, but not so high that it burns the outside while the inside is left raw. Once you find the right spot on your stove, take note! Let the pancakes sit for 5 minutes before serving. This helps them firm up in the middle. Thank you for sharing your knowledge with us, Meghan Telpner, and thank you for inspiring the world! 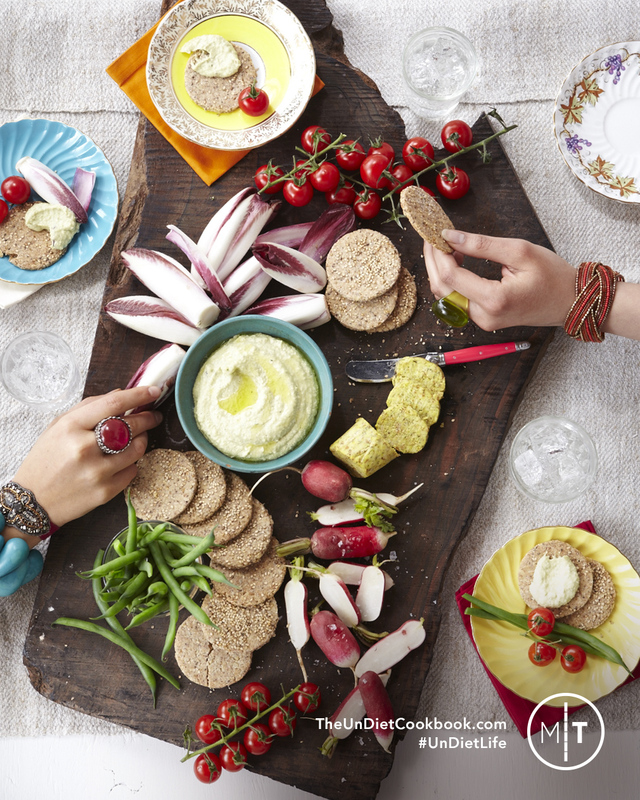 There are the 3 ways to enter this giveaway for Meghan Telpner’s “The UnDiet Cookbook”. Each gives you 1 entry to the giveaway. Let me know in the comments section below what are some of the ways you are using to lead a healthy, happy life. The giveaway begins on Saturday March 19th and closes on Monday, April 4th, at 8 pm Mountain Time. The giveaway ended. The winner is Gloria. A winner will be chosen using a random number generator and announced on the blog on Tuesday, April 5. The odds of winning depend on the number of entries received. I will contact the winner by email and post the result on the blog. The winner will have forty-eight hours to respond. If no response is received within forty-eight hours, another winner will be chosen. For the past month I’ve been really focused on eating and cooking low carb for myself and my family. It’s going well. I actually need to really focus on eating healthy. Sometimes I go without breakfast which I know is not good. i’m subscribed to your blog via email. Trying to eat less processed foods. I’ve made an effort to eat three meals a day and I walk every day. I have joined a gym and have cut out soda, and have been trying to cut out fast foods or foods I don’t cook. It makes such a difference both in money and health to stop eating out as much! I subscribed to your blog as well! I have been eating a lot of pulses! I walk every chance the weather in Ohio allows and try to practice portion control on most meals. I have been watching my sodium intake and also trying to eat more protein and less carbs. I am sleeping more, drinking more water and making sure to move around plenty. I love a little bit of sunshine in my life so I get outdoors and I make to clean my apartment. Thanks. I have been going to the gym everyday and eating better! I would love new ideas of what to eat and recipes so I do not get bored! I am trying to lead a healthy, happy life by working out more frequently and being less stress by not worrying about the little things! I followed along via email. I try and live a healthy lifestyle by eating a balanced diet and getting in exercise as often as possible. i try to lead a healthy life by eating breakfast and watching my portion size. I also don’t like to deprive myself of things that I like to eat; all in moderation. I try to eat healthy by eliminating processed foods. i am trying to cut sugar and salt out of my diet and eat an clean diet as much as i can, i just had an baby and want to get down to my body size before i was pregnant. i am also eliminating processed foods and any fake food. I have been focusing on hydrating my body, something I’m not very good at, I’m sad to say. I also eat 2 fruit/veggies per meal to up my intake of natural minerals and vitamins! I always try to cook my family a healthy dinner every night, as well as make sure everyone drinks their 8 glasses of water a day and stay active! 🙂 This isn’t hard with a 6, 3, and 1 year old! I make sure i don’t over eat by counting my calories. This is the only diet I have ever been able to sustain. The hubs and I are on our last day of a detox we started in order to bring down his blood sugar. We cut sugar, wheat, and dairy from our diets for this 10 days. He went from the 170s to 124 this morning. We’re looking forward to finding more ways to continue eating healthy, though obviously not as restrictive as this detox has been. Thanks for the giveaway! I’m trying to get healthier by walking every day and eating more veggies. Me and my husband just ordered fitbits so we can work to outdo each other, and get on the ball with our fitness. E-mail subscriber and shared on facebook. I’m currently eatting gluten free which has a way of cleaning up my diet with that alone. I’m buying fresh fruits and vegetables weekly to make sure I get them in. I like to cook and bake our own food as much as possilbe. i am a newsletter subscriber. i started eating more fruits and vegetables to stay healthy. I like to eat whole foods. I have been eliminating any foods which are high in sodium as well as counting all of my carbs. I eat a lot more fresh salads and drink a ton of water. Home cooked meals and staying active. I eat a non gmo organic vegetarian diet. I limit processed foods. I have colitis and am hoping some of these delicious recipes would improve my intake. I’m trying to live a healthier life by cutting out all sodas and sugary drinks as well as cutting out all fast food which has always been a huge part of feeding my family since I just went through nursing school and trust me when you go to nursing school you don’t even have time to take a trip to the restroom much less cook a healthy meal for your family. I’m also getting more active by walking at least once daily (most of the time 3xs) even on days I don’t really want or feel like walking and it’s made a huge difference. I try to avoid packaged foods as much as possible, snack on fruits and veggies, and take walks with my dogs!